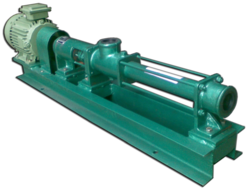 This type of pumps find their place of applications in almost all the industries in the engineering world. Be it coal slurry or volatile chemicals, harsh abrasives or fibrous these pumps are preferred as right choice. 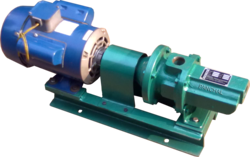 Whenever the pumping is found difficult, these pumps do their duty as per the user's requirement. 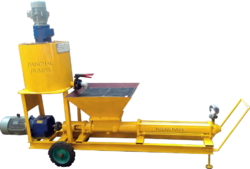 Leading Manufacturer of pit & sump slurry pumps from Kanpur. Portable design vertical screw pumps for emptying barrels. Driven by vertical flange mounted prime mover. 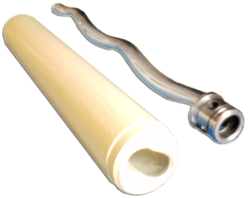 Available in MS/SS/PVC construction with internal rotating parts to suit duty conditions. Shaft sealing by soft gland packing / mechanical seal. Providing you the best range of metering dosing pump with effective & timely delivery. 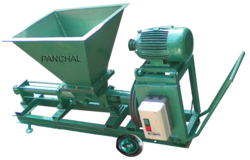 Panchal Pumps are specially designed for treatment plants for economical operation. 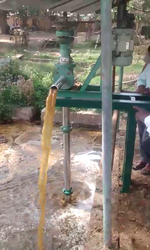 They handle the complete slurry/sludge, spent chemicals, scum and other muck in process of treatment. 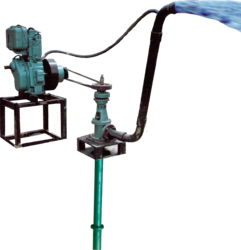 Pioneers in the industry, we offer utility pumps and domestic pd pumps from India. Offering you a complete choice of products which include steam jacketed pump, mixing pumps and spray pump / slurry transfer pump. All elastomers are selected for chemical resistance, designed for operating temperatures of -30°C to 150°C, Rotor SS, Cr-Ni steel and hard-chrome plated & spacial alloys. Spares available for leading brands. 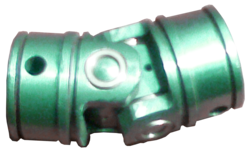 Progressive Cavity Single Screw Pump Joint.